“Oh, my love, my darling … I’ve hungered for your touch …” This song has stuck in my head for a long time with the image of the clay pottery scene involving Patrick Swayze and Demi Moore but this is all I remembered – I have never seen the 1990s romantic drama movie – Ghost but somehow I have heard of these lyrics from “Unchained Melody”. One of my favorite character is the fake psychic Oda Mae Brown – her presence brings comedic relief to an otherwise very sad story plot of two lovers being torn apart by an unfortunate incident. 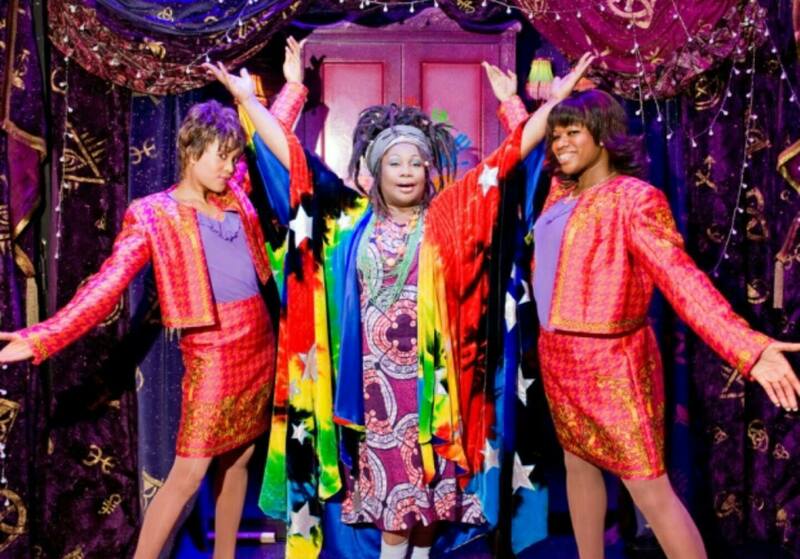 I will not share any spoilers here – it is best for you to experience the entire plot yourself but look out for the colorful Oda Mae Brown! What really makes Ghost The Musical stand out from other musicals is the amazing visual experience where you will see inanimate objects take on a life of their own, a person walk through a solid door right before your eyes and other awe inspiring special effects. After all, the Ghost The Musical is about Ghosts so you should expect some supernatural effects going on on-stage. So there you have it – with Ghost The Musical, you can experience a romantic drama with some comedy (you will laugh and cry with the characters – yes “cry” – there are some really touching moments) and awesome special effects and I would say, even illusions that looked magical!